Did you read that headline and think 'Huh'? If so then you should probably read on! Harmonised colour, or HC as I'll call it from here on in, is one of those little things that mostly you don't get taught but, when you are aware of it, can make a huge difference to the look of your work. Harmonised colour is a term I've made up for this, it may well be called something else by 'people in the know' and if it is, well, I maybe need to know! HC though, as a phrase, seems to sum it up nicely for me. The young lady's hair is identical to that of the guinea pig she is holding. That harmony adds dramatically to what is already a very good portrait. With little or no colour elsewhere in the shot, the ginger colour of the girl's hair and the animal is striking. See too how her eye colour is of a similar tone to the ginger and also adds to the power of the shot albeit in a very subtle way. Which brings me on to the second aspect of colour harmony, the use of colours of a similar tone. We've taken an early test version of our logo and used this very technique. We selected colours that, although green and orange are very different, they work well together. 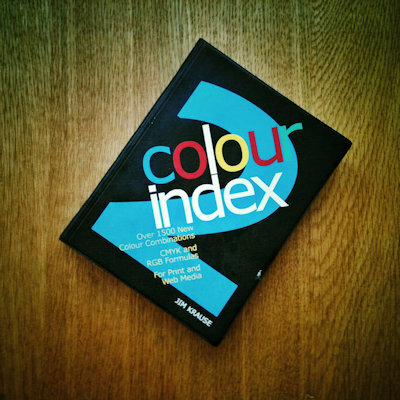 Using the book you see pictured below, Jim Krause's Colour Index 2, we found a group of colours we liked and applied them to our logo. What the book offers is pages, 355 to be exact, of harmonised colour combinations. Some are very obvious such as different hues of green and others are completely different such as the green and orange of our temporarily updated logo. There are other books like this that also show harmonious colour and Jim's is the one we use. The third type of HC is where colours are used together that are found on the opposite side of the colour wheel. 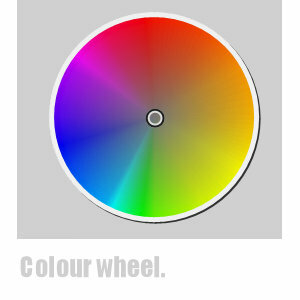 A colour wheel is a circle of all of the colours so if you take a look at the example colour wheel we've featured here, you can see green is opposite red and blue is opposite yellow. These are very popular colours to exploit as they are in our opinion the most striking. 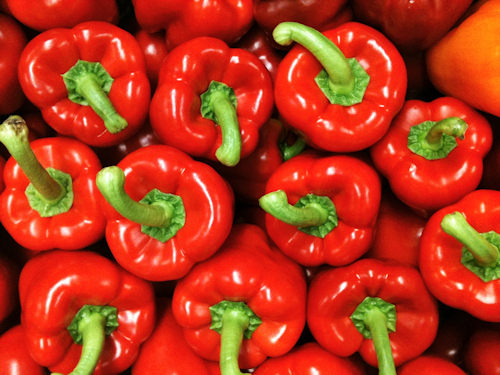 Take a look at the example image of the red peppers. With the green stalks against the red pepper the colours doesn't that just grab your attention? What's also happening here is a reduction in the number of colours you see in the picture. This is a personal theory but this is why I think black and white is so easy on the eye, the colours you see are generally varying tones of grey which is somehow very pleasing to look at. This idea works too when you apply a 'colour wash' to a colour image, it reduces the overall number of colours in the picture and aligns the colours that remain towards similar tones. See the dandilion image for an example. Here you can see we've used a filter to add a green tone. It looks unreal and yet pleasing. Odd eh? Of course you have to start with a decent image. No amount of black and white or colour wash will improve a poor picture. I'm sure if you have a graphic design background this is familiar territory for you but for me not having that benefit, I have come to learn about this quite slowly as I've noticed the use of colour, seen how some images always looked better than others and slowly learnt how this HC thing works. 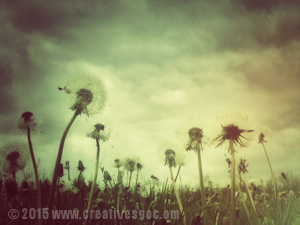 There is much to learn about how colours sit together to improve the look of an image. What we've touched on here is just the tip of a massive harmonised-colour iceberg but even with some very basic knowledge you can build it in to our own work when neccessary to move the quality of your creative output up a notch.